It’s no surprise that Porsche produces numerous award-winning vehicles—and the distinctions earned by the 2018 lineup are proof positive of that fact. The face of luxury and high performance, this year’s Porsche models earned a sizable amount of prestigious awards, further living up to the brand’s reputation for excellence. The 2018 Porsche awards include nods for the 911, Macan, 718 Boxster, and Cayman, among others, all due to these vehicles’ comfort, technology, and performance features. Porsche Panamera:The Panamera won the hearts of many industry experts, earning both the Kelley Blue Book “Best Resale Value: High-End Luxury Car” Award and “5-Year Cost to Own Award: High-End Luxury Car” Award. Porsche 718 Cayman: Similar to the 718 Boxster, the new 718 Cayman was also named to Car and Driver’s “10 Best” list. The model also earned the Kelley Blue Book “Best Resale Value: Sports Car” Award. Porsche Macan: The Porsche Macan was also praised by critics and is sure to be a favorite amongst Ewa Beach and Mililani drivers. This crossover SUV earned the Kelley Blue Book “Best Resale Value: Luxury Compact SUV/Crossover” Award and Car and Driver’s “10 Best Trucks and SUVs” Award. Browse the Award-Winning Porsche Lineup in Person! The Porsche lineup is full of award-winning vehicles that combine exceptional performance with second-to-none luxury. 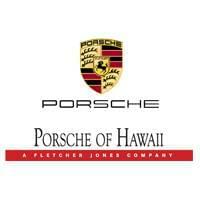 Browse our award-winning inventory online, and then contact us to schedule a test drive at Porsche Hawaii.